Looking to impress without the stress this Valentine’s Day? We’ve had the BeauCrew working away behind the scenes to create a very special Valentine’s Day dessert for you and your lucky date! Make sure you get yours by ordering ahead of time! Deadline for large size is Tuesday, February 11; smaller size can be ordered up until Thursday. Order by calling the bakery at 604-732-4222. Beaucoup Bakery & Café brings together childhood favourites and French classics, with some modern twists. 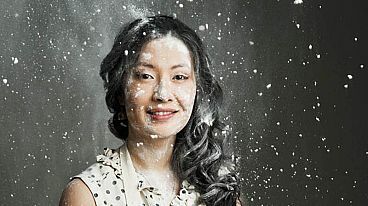 Using only high quality ingredients, owner and baker Jackie Kai Ellis creates pastries, cakes, seasonal tarts, cookies and vienoisserie that her guests can either take home, or enjoy in her welcoming 16-seat café at the edge of Vancouver’s Kitsilano and Fairview Slopes neighbourhoods. More information can be found at www.beaucoupbakery.com, on Facebook at www.facebook.com/beaucoupbakery, or on Twitter by following @BeaucoupBakery.